← This Is What We’ve Come To? Oh Happy Day! As my regular readers will be aware, I love stationery. I’ve written one or two other posts about how much I love the stuff, so I’ll skip over how much I love it, and go straight to my latest discovery. 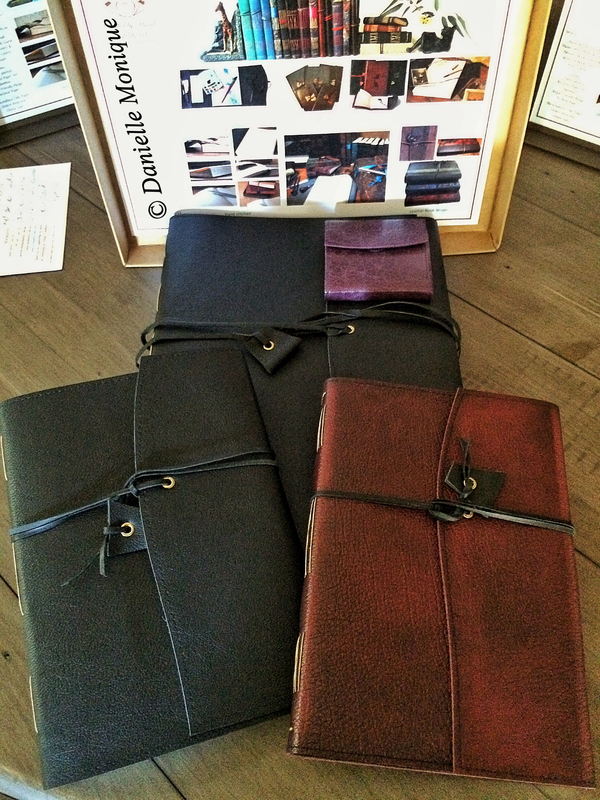 I happen to already own three leather bound writing journals – one black, and two in a caramelly brown colour. I picked them up over the space of a couple of years from a local store that stocks hip and trendy stuff. Apparently, the hipsters are getting into using leather bound journals for writing and sketching, and whatever else hipster types use journals for. 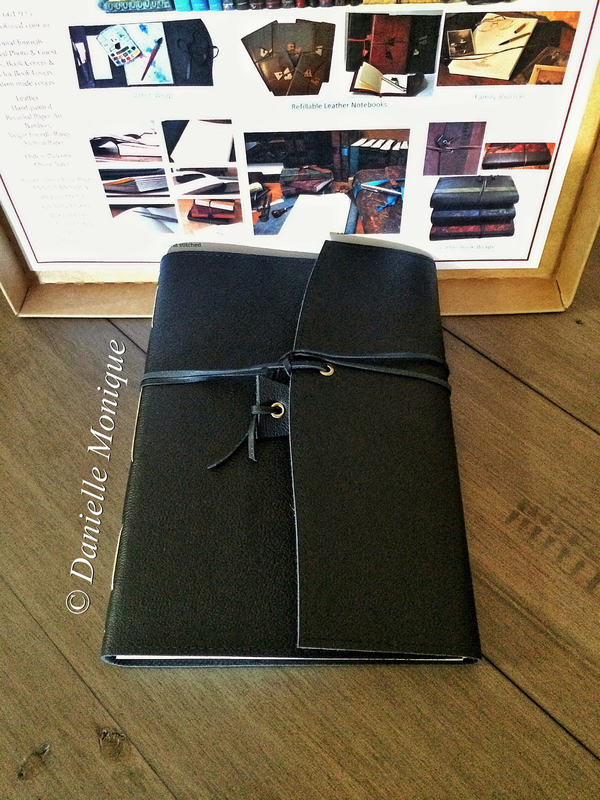 Me, on the other hand, I’ve always dreamed of owning a gorgeous hand-made, leather bound journal. So, it was a real coup to find a local stockist of just that very thing. Three A5 sized journals later, and I thought that was it. 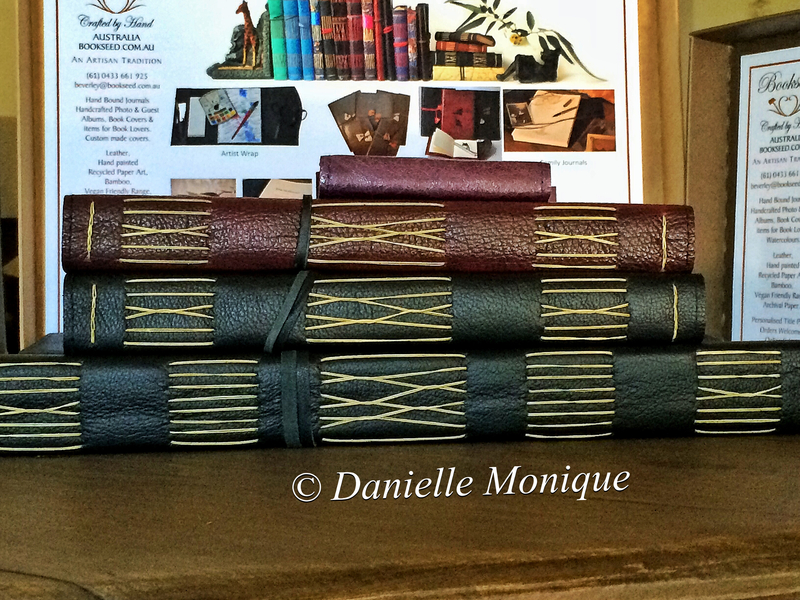 They’re lovely pieces, but they just didn’t hit all the marks for what I really wanted in my leather bound book. Until I hit up Google and discovered an Australian who produced just the sort of journal I’d been after. Beverley Exell is that very Australian. 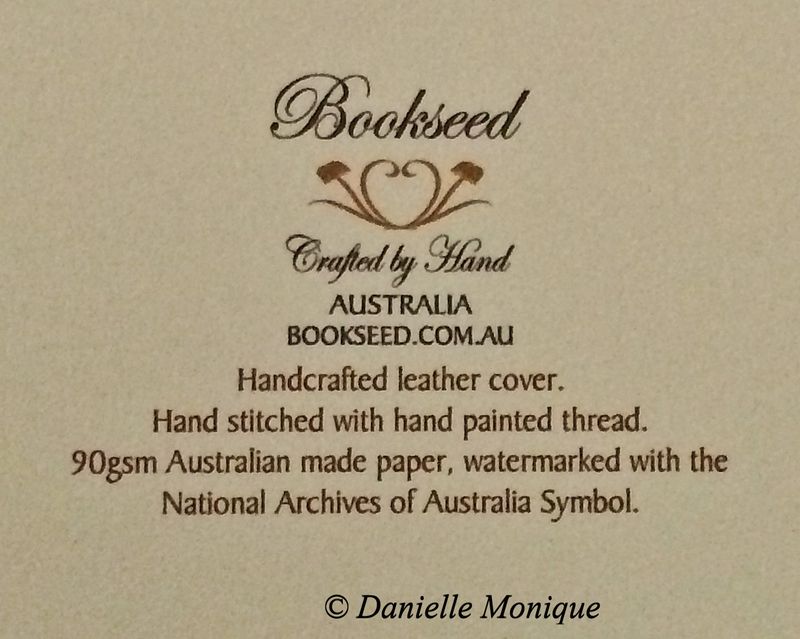 She owns and runs Bookseed, and hand crafts all manner of gorgeous journals – for travel, photos, guest books, graduation – as well as book wraps/covers for sketch or notebooks, so that you can re-use the gorgeousness that is your leather book wrap. What’s important to note here is that Beverley hand crafts and binds every journal that she produces. There’s a level of care that is involved in every piece that she produces because it is how she makes her living . . . and she loves books – also important. I scoured the Bookseed web site, and selected three leather bound journals – two A5 (one in black, the other in Chesterfield Ruby . . . yes, the leather that’s used to make Chesterfield furniture which I also happen to adore, and no, that’s not old fashioned, it’s classic! ), and an A4 in black. The A5 comes with 192 pages, the A4 with 256, and the hand folded, yes, you read correctly, hand folded pages are archival watermarked and quality. These hand folded pages are, currently, the only Australian made paper to carry the watermark of the National Archive of Australia. For your peace of mind, it’s archival quality for around, oh, 500 years! That means if you’re considering purchasing a family history journal, those pages will hold your information for a very, very long time. The stitching of the pages is completed with hand painted thread, and it is traditional in form. Anyway, on Tuesday night I placed my order for the three journals, selected my preferred payment method, and organised the payment on Wednesday morning. In less than an hour, I’d received a reply informing me that two of my journals were already in stock, and all things being equal, the third would be ready by the end of that day, with the possibility that it would be posted the following day at the latest. Thursday they were posted, and once the postal tracking number was active, Beverley emailed to give me the postal tracking information. Fast forward to this morning, a week since placing the order, when the delivery guy dropped off my parcel. I could have done a whole video of my unboxing these delights, but a there’s nothing graceful about a middle aged woman ripping open an express post envelope, followed by the drooling that occurs after she unboxes each beautifully packed journal. No sir, indeed that’s something that should be left unseen. 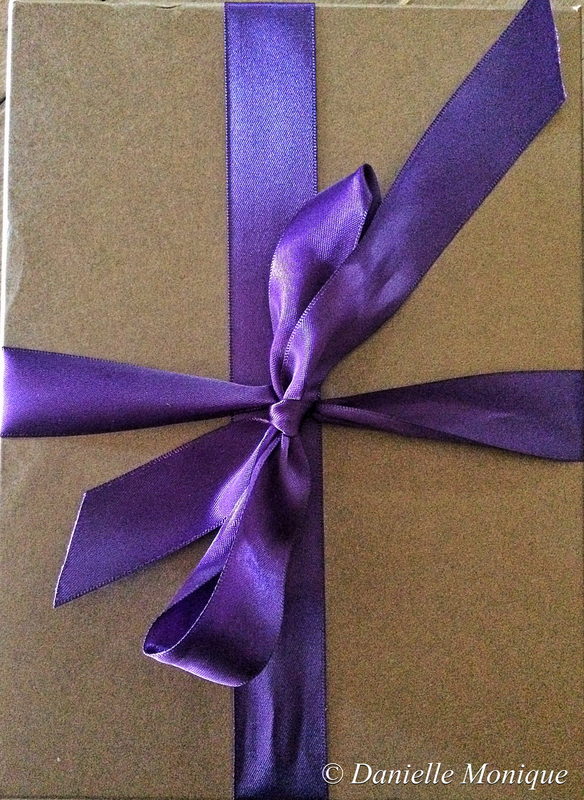 Each journal comes beautifully boxed, and secured with a ribbon – purple, in my case. Yes, she gets points for using ribbons of my favourite colour! Unboxing, then unwrapping the tissue paper revealed the hand crafted, leather bound journals that I’d been dreaming of. Everything about these books, from the way they’ve been constructed to the way they are packed for shipment, is outstanding. I couldn’t be happier with my purchase. 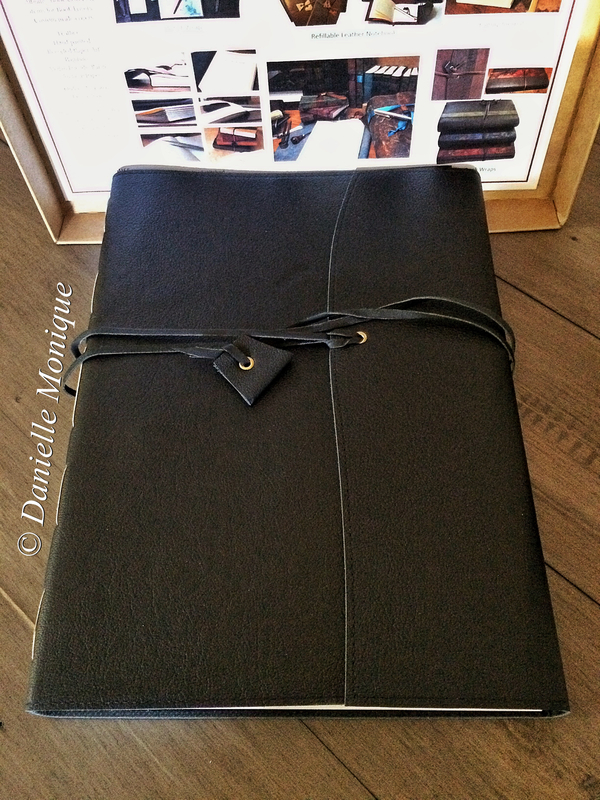 And to top things off, a little keepsake was included for me in the event that I was gifting the journals to others. I’ve reserved my very best writing implements for use in these journals, and I’m even considering reanimating my fountain pen – I use reanimating because it’s been so long since I’ve used the fountain pen, it quite possibly could be dead. I have no idea what I’m going to write in these delights, so they’ll stay clean, aside from my name, until I come up with text that is suitable for my leather bound, hand crafted beauties. Speaking of names, should you purchase one (or more!) of these journals, Beverley will actually print a title personalised title page for a small fee, y’know, if you want it to look that lil bit extra extra special, or if you purchase one as a gift and you fancy having the recipient’s name in it. And for those real hipsters out there, Beverley’s range is, wait for it, vegan friendly . . . especially because you can purchase journals with recycled paper art covers. These journals, for me, are an investment. Beverley has spent time, and considerable effort in creating pieces that are unique, and her work is well worth the money I spent. Binding books by hand is, I’d imagine, a dying art and trade, especially given most of society’s penchant for e-books, and that makes Beverley as unique as the pieces she creates. 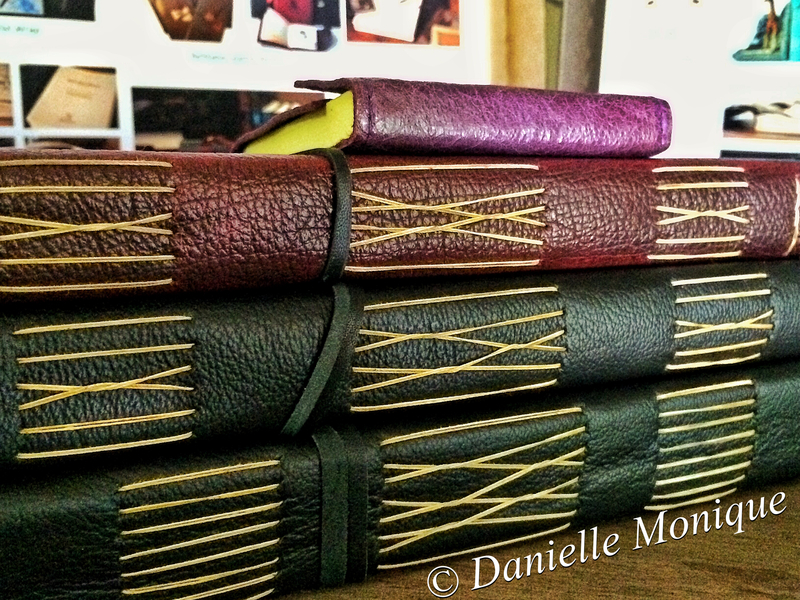 The finish of my Bookseed journals is far superior to the three leather bound journals that I already had. Far superior, and most definitely worth the money. And quite frankly, I think I only ever want to buy leather bound journals crafted by Beverley. 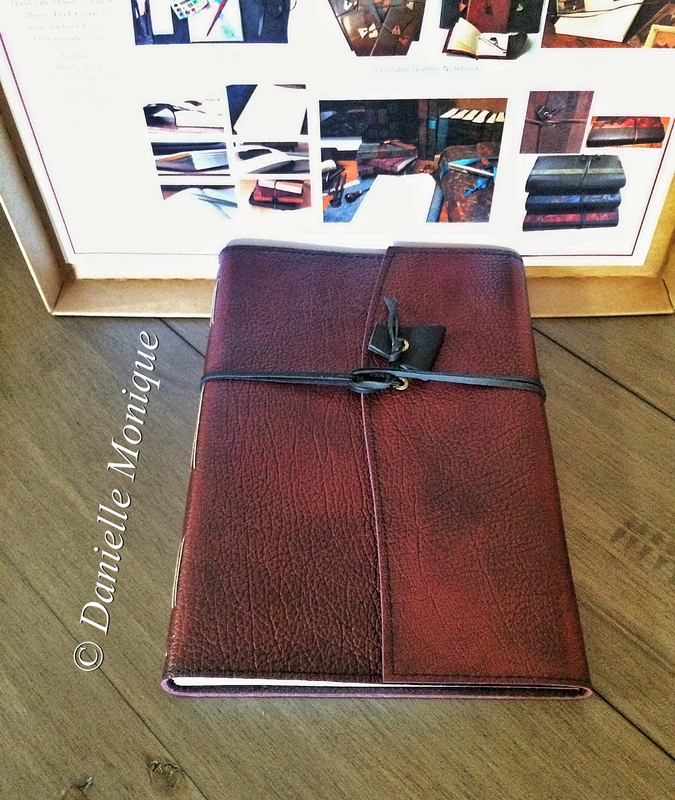 Gallery | This entry was posted in Reviews and tagged archival paper, Armchair Philosophy, artisan, Beverley Exell, Bookseed, hand crafted, hand crafted journal, journal, leather bound journal, non-fiction, small business, Stationery, tradition, writing. Bookmark the permalink.